Here at Classic Driver, we’ve been experiencing an exponential growth in visitors to our website over the last year or so. As much as my colleagues and I would like to take credit for this, I think it can be largely attributed to a widespread surge of interest in characterful classics. In recent months, this has been highlighted by the rocketing values of certain 1980s icons, such as the Countach and Testarossa. A new generation of enthusiasts has joined the ‘old guard’. Sure, the aforementioned classics would be obliterated by their modern counterparts on a good country road (the A9 from Stirling to Inverness comes highly recommended, by the way) – but in terms of the overall experience, the golden oldies would make such a trip infinitely more memorable. As our weekday workhorses become increasingly soulless, motoring enthusiasts are turning to classics for their weekend ‘fix’. 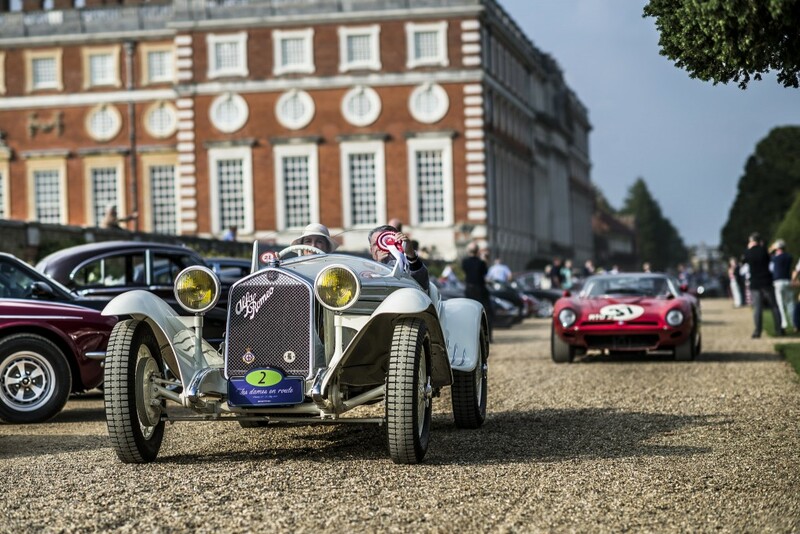 This passion inspires a sense of community – the embodiment of which is a concours event, where the world’s most ardent owners gather to share the jewels of their collections. The Concorso d’Eleganza Villa d’Este in Italy has been running since 1929; its American equivalents in Pebble Beach and Amelia Island have completed 85 years of service between them. And this year, for the first time, Scotland will be added to the list of countries hosting a world-class pageant of automotive sophistication. Continuing its tradition of being held at Royal venues, the Concours of Elegance will relocate to the grounds of Edinburgh’s stunning Holyroodhouse for 2015, after last year’s successful display at London’s Hampton Court Palace. Interestingly, one of its confirmed exhibits – a 1911 Rolls-Royce Silver Ghost – completed a similar journey in period, travelling from London to Edinburgh and back… solely in its top gear. It will be joined at Holyroodhouse by 59 other prominent automobiles with their own tales to tell, ensuring another event that’s fit for royalty, quite literally. The 4-6 September has most certainly been marked in our calendars.